SoyCurioso Brand — SoyCurioso.com | Brand redesign by Amadezing. 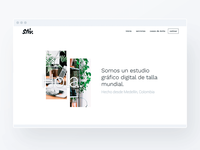 BrandedContent - Website — BrandedContent.MX - Wordpress Website for a client. JazzDomain.com Desktop — JazzDomain.com Desktop version website for a client. Full Energy Logo — Conceptual logo for Full Energy. Using bolt shape. Do you like it? AmericanRoad logo — AmericanRoad client logo. Do you like it? JazzDomain logo v2 — JazzDomain client project logo v2. Do you like it? JazzDomain logo v1 — JazzDomain client project logo v1. Do you like it? Flash Conceptual Logo — FLASH word conceptual logo. What do you think about it? Betuber logo — Betuber.com official logo, community of Influencers, Youtubers and fans. StockDeck logo — StockDeck.io logo. Letters “S” and “D” monogram. Themesei Logo — Themesei.com wordpress themes store logo. What do you think about it? Themesei.com website — Wordpress theme for Themesei.com store. 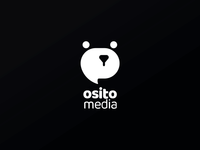 Osito Media Logo — Logo design for OsitoMedia MX (Bear). What do you think about it?